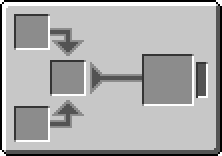 The Printed Engineering Circuit is an item added by Applied Energistics 2. It can only be used to craft an Engineering Processor. This page was last modified on 19 May 2016, at 20:55.